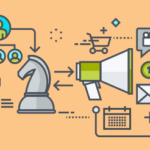 Content has blown up in the marketing world and with it the free and paid tools to help manage it. And since 1 in 5 websites on the Internet use WordPress as their CMS, it’s for good reason that helpful WP plugins are rolling out to help us manage our content. Since creating and editing content with WordPress can be rather quick and painless, a website can grow at an astonishing rate. As the administrator gains familiarity with their WordPress back end, the website will start to fill up with dozens of blog posts, more detailed content pages and possibly hundreds of media library images. And as the amount of content begins to grow, managing and maintaining it can become overwhelming. WordPress plugin repository description: Clone posts and pages. Oftentimes the end user will need to create a post or page that has the exact same layout and formatting as another page, just different content. The easiest way to accomplish it would be to “duplicate” or “clone” the post or page and then edit the new copy of the page. Duplicate Post adds a simple and powerful functionality to WordPress that many could argue should be a default feature in the WordPress core. 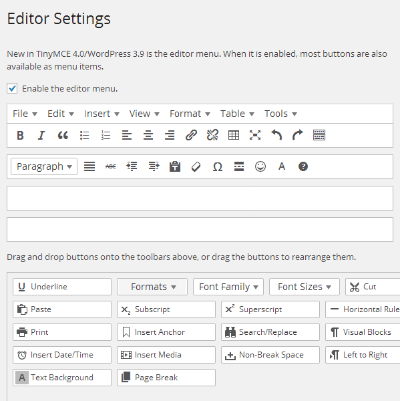 WordPress plugin repository description: Enables the advanced features of TinyMCE, the WordPress WYSIWYG editor. As a developer, I build backends for end users with little to zero knowledge of HTML and CSS. However, sometimes the default WordPress content editor isn’t enough for some end users’ needs. Users might need to add multiple horizontal rules or anchor links to many pages, while others could possibly use the subscript or superscript tags often. The TinyMCE Advanced plugin solves these issues. This plugin adds more options to the default content editor to make editing content even easier. 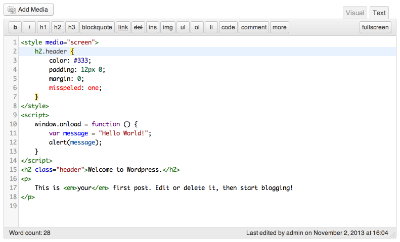 WordPress plugin repository description: Add syntax highlighting to the HTML editor. Unfortunately for some WordPress themes, editing the HTML of the page is the only way to edit the content on the page. The HTML view of the default editor is rather plain and bland looking, making it hard to read and determine if what you’re typing is correct. HTML Editor Syntax Highlighter plugin adds syntax highlighting and colors to the HTML editor so that code is easier to read and understand. Users who have experience using HTML editors like Dreamweaver will see similarities to code view. WordPress plugin repository description: Adds links to navigate to the next and previous posts when editing a post in the WordPress admin. This plugin adds another feature that can be argued should be a default in WordPress core. When editing a post/page, the Admin Post Navigation plugin adds buttons in the back end that allow you to edit the “Previous” or “Next” post/page. So instead of having to go back to the main list of posts/pages to edit the next post/page, it can be done immediately after saving the one you just edited. Essentially, it’s a huge time saver. WordPress plugin repository description: Order your pages and other hierarchical post types with simple drag and drop right from the standard page list. Some WordPress themes and plugins require that the menu order of each page/post be a certain way. Usually an end user would just edit the Menu Order field of a page with the appropriate number to put it in the correct order. But what if you had to reorder 50 or more pages? Sure you could try to use the quick edit feature but that still isn’t the most optimal solution. The Simple Page Ordering plugin will make re-ordering those pages a breeze with it’s drag and drop interface. Very similar to the Simple Page Ordering plugin, but instead the drag and drop interface is used to change the order of blog post categories and custom post type taxonomy terms. 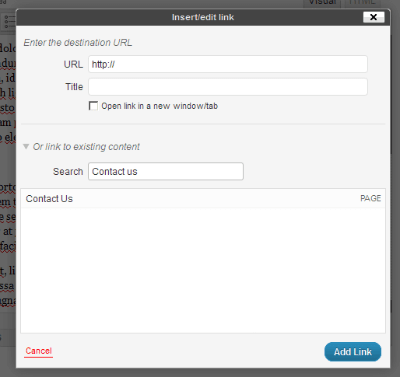 WordPress plugin repository description: Improve the internal link popup manager with time-saving enhancements and features. Simply put, the Better Internal Link Search plugin is exactly that. The default WordPress internal search works but isn’t always foolproof. For example, there are times where you want to create a hyperlink to a known page, such as “About Us.” With the default function, it shows up in the bottom of the search results. Why is it at the bottom of the results? Better Internal Link Search fixes that and makes searching for your content faster and—just like it says—better. The Media Library Assistant plugin is a must have if the end user’s Media Library contains massive amounts of uploads. By massive, I mean hundreds, if not thousands of uploaded files. This plugin is very powerful and while I have not used it to its full potential, the features I did take advantage of saved me boatloads of time. During a website migration, many images need to be re-added to multiple posts and pages. Using this plugin, I was able to search for the exact image file by searching for its exact filename. The default search feature of the Media Library does not yield the same results, in fact if you searched for the exact filename, no results would be found. Using custom post types in WordPress can make life so much easier for the end user. 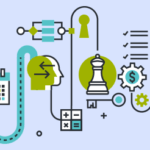 I personally like them because they allow me to create a way for the end user to add and edit many different types of content, not just blog posts and pages. The Post Type Switcher plugin allows the end user to change the post type of the post. For example, a blog post might need to repurposed as a News item or a Press Release post needs to be switched to a new page on the website. This plugin will allow the end user to easily do that. 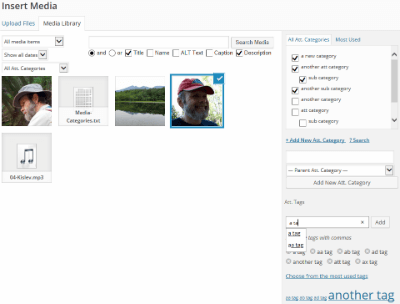 WordPress plugin repository description: A plugin that adds the “Featured Image” column in admin posts and pages list. One more simple plugin that one might argue could be part of WordPress core. The Post List Featured Image plugin adds a thumbnail image of the featured image used in posts and pages to the main posts and pages list view. This allows the end user to quickly recognize a blog post or content page by seeing the feature image. It also lets the end user quickly know if a post or page has a featured image or not. If more customization is needed to the columns list view, try out the Codepress Admin Columns plugin that was mentioned in this blog post. 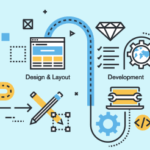 As a developer, one of the most important components that separates WordPress from other CMS platforms is the back end. Gone are the days where clients can send pages of content edits for their website. With WordPress, they can make those types of edits themselves with relative ease.